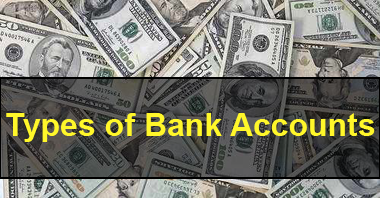 This article not only focuses on different types of accounts but I have made an effort to make you all fait with the types of loan accounts, which will surely help you in the subjects like finance. Flexi Fixed Deposit is a special kind of deposit scheme offered by banks in India, which is a combination of Demand deposit and Fixed Deposits. The depositor is able to enjoy both the liquidity of Savings/Current accounts as well as the high returns of Fixed Deposits. Balance in excess of a stipulated amount is automatically transferred to an Fixed Deposit for a default term of one year.Hence, amount in excess of a fixed limit can now earn a substantially higher rate of return. FDs formed through Auto Sweep carry the interest rate on FD of 1 year, prevalent on the day of the Auto Sweep . Hence, The Flexi Fixed Deposit scheme has 2 components : a Savings&Current Account component, and a Fixed Deposit account component. In case of shortfalls in the Savings account to honour any debit instruction ( e.g. when the customer wants to withdraw money through cheque or through ATM ), balance in the FD to the extent needed for meeting the shortfall is automatically withdrawn in multiples of Rs 1000 ( or any other amount set by the bank ) often by in LIFO method. The remaining balance in the FD continues to earn higher interest at the original rate applicable to FDs. withdraw money from the Fixed Deposit component. Hence effectively, this scheme is linking of Savings/Current account with a FD. Simply put a flexi FD helps you withdraw funds whenever you require it. To begin with you can open a fixed deposit ranging between Rs. 25,000 to Rs. 50,000 for a specific term depending on your bank. There is also the option of enjoying a zero balance savings account for a higher FD amount. The benefit of a flexi FD comes into play when you require more funds than what you have in your savings account. In such a situation your bank will withdraw from your flexi FD the excess amount required and deposit the same into your savings account. And if you have more than one FD then the bank will work on ‘First In, First Out’ or FIFO basis thus breaking the first FD opened. The main advantage of this product is that the depositor is able to enjoy both the liquidity of savings or current accounts as well as the high returns of a FD. These products have two common features. Cash or cheque withdrawal may entail breaking the flexi FD. If it happens within seven days of flexi FD opening, you will not get any interest. Perhaps the biggest drawback of this system is that it can give you benefits only for a short term! These types of accounts are only for a year as its main aim is to give you liquidity and higher interest. Most banks penalize the customers if their savings account falls below the predetermined level. And there is a pre-closure charge in case of premature closing of these accounts. There is a limit to the overdraft and there are a minimum number of months for the money to remain in the account. In contrast to “no frills” accounts, these offer a more comprehensive set of services, but usually at a higher cost. Also, unlike a basic checking account, you are usually able to write an unlimited number of checks. Checking accout which pay interest are sometimes referred to as negotiable order of withdrawal (NOW) accounts. The interest rate often depends on how large the balance in the account is,-and most charge a monthly service fee if your balance falls below a preset level. These accounts invest your balance in short-term debt such as commercial paper, Treasury Bills, or CDs. The rates they offer tend to be slightly higher than those on interest-bearing checking accounts, but they usually require a higher minimum balance to start earning interest. This type of a bank account lets you to save on your own for retirement. best alternative if your employer doesn’t provide a retirement benefits scheme or if you would like to save some more money for your retirement. Individual retirement account comes in two other types namely; Roth IRA and traditional IRA. However, the former is more popular because cash withdrawals can be done tax-free. These are also known as “time deposits“, because the account holder has agreed to keep the money in the account for a specified amount of time, anywhere, from three months to six years. Because the money will be inaccessible, the account holder is rewarded with a higher interest rate, with the rate increasing as the duration increases. There is a substantial penalty for early withdrawal, so don’t select this option if you think you might need the money before the time period is over (the “maturity date”). In a demand loan account, the entire amount is paid to the debtor at one time, either in cash or by transfer to his savings bank or current account. No subsequent debit is ordinarily allowed except by way of interest, incidental charges, insurance premiums, expenses incurred for the protection of the security etc. Repayment is provided for by installment without allowing the demand character of the loan to be affected in any way. There is usually a stipulation that in the event of any installment, remaining unpaid, the entire amount of the loan will become due. Interest is charged on the debit balance, usually with monthly rests unless there is an arrangement to the contrary. No cheque book is issued. The security may be personal or in the form of shares, Govt. paper, fixed deposit receipt, life insurance policies, goods, etc. When a loan is granted for a fixed period exceeding three years and is repayable according to the schedule of repayment, it is known as a term loan. The period of term loan may extend up to 10 years and in some cases up to 20 years. A term loan is generally granted for fixed capital requirements, e.g. investment in plant and equipment purchasing land / building / flat (Apartment house, setting up new projects or expansion or modernization of the plant and equipment etc. An overdraft is a fluctuating account wherein the balance sometimes may be in credit and at other times in debit. Overdraft facilities are allowed in current accounts only. Whereas in a current account cheques are honoured if the balance is in credit, the overdraft arrangement enables a customer to draw over and above his own balance up to the extent of the limit stipulated. For example, if there is a credit balance of Rs.40,000/- (approx. $890 USD) in a customer's current account and an overdraft limit of Rs. 50,000/- (approx. $1,113 USD) is sanctioned to the party, he can draw cheques up to Rs. 90,000/- (approx. $2,003 USD). There is no restriction, unlike in the case of loans, on drawing more than once. In fact, as many drawings and repayments are permitted as the customer would desire, provided the total amount overdrawn, i.e. the debit balance at any time does not exceed the agreed limit. This is a satisfactory arrangement from the customer's point of view. He need not hesitate to pay into the account any moneys for fear that an amount once paid in cannot be drawn out or borrowed again, unlike in a loan account. As in the case of a demand loan account, the security in an overdraft account may be either personal or tangible. The tangible security may be in the form of shares, government paper, life insurance policies, fixed deposit receipts etc. i.e. paper securities. A cheque book is issued in an overdraft account. A cash credit is essentially a drawing account against credit granted by the bank and is operated in the same way as a current account in which an overdraft limit has been sanctioned. The principal advantages of a cash credit account to a borrower are that, unlike the party borrowing on a fixed loan basis, he may operate the account within the stipulated limit as and when required and can save interest by reducing the debit balance whenever he is in a position to do so. The borrower can also provide alternative securities from time to time in conformity with the terms of the advance and according to his own requirements. Cash credits are normally granted against the security of goods e.g. raw materials, stock in process, finished goods. It is also granted against the security of book-debts. If there is good turnover both in the account and in the goods, and there are no adverse factors, a cash credit limit is allowed to continue for years together. Of course a periodical review would be necessary. Bills, clean or documentary, are sometimes purchased from approved customers in whose favour regular limits are sanctioned. In the case of documentary bills, the drafts are accompanied by documents of title to goods such as railway receipts or bills of lading (BOL). Before granting a limit, the creditworthiness of the drawer is to be ascertained. Sometimes the financial standing of the drawees of the bills are verified, particularly when the bills are drawn from time to time on the same drawees and/or the amounts are large. Although the term "Bills Purchased" seems to imply that the bank becomes the purchaser / owner of such bills, it will be observed that in almost all cases, the bank holds the bills (even if they are indorsed in its favour) only as security for the advance. In addition to any rights the banker may have against the parties liable on the hills, he can also fully exercise a pledgee's right over the goods covered by the documents. Usance bills, maturing within 90 days or so after date or sight, are discounted by banks for approved parties. In case a bill, say for Rs. 10,000/- due 90 days hence, is discounted today at 20% per annum, the borrower is paid Rs. 9,500/-, its present worth. However the full amount is collected from the drawee on maturity. The difference between the present worth and the amount of the bill represents earning of the banker for the period for which the bill is to run. In banking terminology this item of income is called "discount". These are the kinds of bank loans which are provided to an individual, rather than to a group or business. The personal bank loans are further divided into many different categories like secured and unsecured loans. These types of bank loans allow a borrower to get a check or cash and pay it back in fixed installments over a certain fixed period of time. In unsecured personal loans, no specific loan purpose is required. However, it is far less common for a bank to provide an individual an unsecured bank loan types. The unsecured personal loans are like a credit card. Nothing is placed as a security for the loan. The borrower simply gives his word to the bank that he will pay the loan back in the terms agreed upon. In case the loan is not paid back, the bank gets nothing. The rate of interest unsecured loans is usually quite a bit higher than secured loans, so the bank ensures they get their money early in case the borrower gets fail to pay back the loan. The secured personal loans issue cash or a check to the loan seeker. The loan seeker has to provide the bank with interest in collateral such as a savings account or a property in case the loan doesn’t get repaid. These are the types of bank loan types which have some sort of possession put up as security for the loan. In other words, if you are not able to pay back your loan according to the set agreement, the bank has a right to repossess whatever you put up for the loan. Borrowing against the equity in your home is an example of a secured loan. Your home because the security for the loan amount, and if you do not pay back your loan on time, the bank could repossess your home. One of the different bank loans types are computer loans. There are many banks which offer loans to purchase new computers from major companies. The loan check is given to the computer company, and the borrower chooses goods as approved and then makes payments. Almost all kinds of banks provide these auto loans for purchasing new and used vehicles and for repair of older ones. The consumer has to pay back for it on the basis of monthly installments otherwise the vehicle or the car is repossessed by the banks. However, one has to be very careful about acceleration clause especially in case of car loan.Acceleration clause is also known as the “acceleration covenant”. the Acceleration Clause in any car loan is a vital element that must be read and understood categorically by the borrower at the time of signing the loan agreement. Most of the car loan customers in the country are quite unaware of this clause and hence land up in undesired complications at a later stage when they are informed by the lender of the same after any default in the repayment schedule. Simply speaking if the borrower for some reason makes any defaults in timely repayment or any other breach of contract/ covenant then the lender vide this clause has the right to demand for the repayment of the entire outstanding amount instantaneously. This clause is a protection for the lender against defaults in the repayment by the borrower. When is the accelerated clause brought into effect? Default in making payment of stipulated installments as agreed upon in the loan contract. The number of defaults permitted before bringing in this clause varies per contract and is specified in the agreement for each car loan. Default in making full payment of the amount that has been decided upon in the car loan agreement signed by both the parties. Declaration of bankruptcy by the borrower while the car loan amount is still unpaid. Any other intentional breaches of the covenant that can be legally bind the borrower to make complete repayment of the outstanding amount immediately. The borrower in such circumstances comes under tremendous financial pressure as the entire outstanding amount has to be paid back immediately or legal proceedings will be initiated against him by the lender. Thus one needs to carefully read the fine print of the promissory note while signing the agreement of the car loan in order to stay informed, aware and prepared for such an eventuality. This time I have tried to keep the article concise, so to enable you to read it with interest. I hope you all liked it. Scores of things are still left to be discussed, I will cover the rest in next article. Research continues and the next article is in offing to publish on this portal. I am glad that you all appreciated my work previously and came up with your views and suggestions. Thank you all for it. This piece of writing owe its thanks to many websites, especially Wikipedia, bank bazaar, types of banks, aviate bank, investor guide etc.